London's stages play host to award-winning theatre shows all year round but the warmer months bring another realm of opportunities, with the streets and the parks becoming the stage. Read on to discover the best al fresco theatre in London this summer. Michelle Terry kicks off her tenure as Artistic Director with Hamlet. 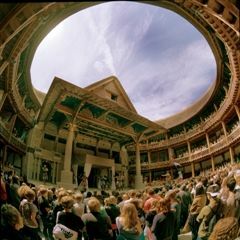 The new Artistic Director of Shakespeare's Globe, Michelle Terry, opens her tenure at the famous London theatre with Hamlet, taking up her new role as the Globe comes of age and reaches its twenty-first year. Playing alongside Hamlet from May 2018 will be As You Like It. Both written around 1599, the year the original Globe was built, these plays speak to each other. An ensemble of artists including Federay Holmes, Bettrys Jones, Jack Laskey, Nadia Nadarajah and Michelle Terry herself, explores these well-thumbed and popular plays in parallel and as if for the first time. The Olivier Award-nominated production launches this year's Open Air Theatre season. The Regent's Park Open Air Theatre 2018 season launches in May with a return of their Olivier Award-nominated production of Peter Pan. Based on the re-discovered original play written by J M Barrie, Timothy Sheader and Liam Steel's production tells the story of George Llewelyn Davies, one of the children who inspired the author to create the character of Peter Pan. Using puppetry in places, the drama reveals how the wounded soldiers of World War One used the fantastical lagoons and pirate ships of Never Land as an escape. Recommended for ages 9 and above, not suitable for children below 4. Not just theatre, the LIFT festival has a huge range of events and performances. The London International Festival of Theatre (or LIFT, if you prefer) returns to the capital in 2018 at theatres, arts venues and other sites around London. There's a huge range of events, including live performances, art exhibitions and installations. See London's night sky sparkle as over 1,5000 LED-lit pigeons swoop over Thamesmead. The Royal Court Theatre stages Notes From the Field, Anna Deavere Smith's first London appearance in over 25 years. Congolese dance artist Faustin Linyekula present political piece, In Search of Dinozord. And Dutch artist Dries Verhoeven's immersive Phobiarama pops up in King's Cross. There are too many highlights to mention but we couldn't miss out Fatherland by Frantic Assembly's Scott Graham, Taylor Mac, Punchdrunk and Hofesh Shechter Company for sheer inventiveness and innovation. Go see. Vanessa Kirby, better known as Princess Margaret in The Crown, stars in this new adaptation. Known for her reinterpretations of classic plays, Carrie Cracknell directs Vanessa Kirby (Princess Margaret in The Crown) in Julie at the National's Lyttelton Theatre. Reworked by Polly Stenham and designed by Tom Scutt, the new version of August Strindberg's tragedy brings Miss Julie into contemporary London. As a late-night party begins to die down, Julie continues to dance but downstairs Jean and Kristen listen and wait. What will follow as the three of them engage in a dangerous tryst? Two weeks of free outdoor theatre and street performances. The whole of Greenwich comes alive for the Greenwich and Docklands International Festival, a two-week free festival of street performances, art and dancing in the streets. It kicks off with Fly By Night, which sees over 1500 trained pigeons soar into the skies above the Thames. Other events on the line-up are D-Construction, a hip-hop dance piece that explores identity, borders and the bonds that connect us; Plock!, an acrobatic show that takes inspiration from the art of Jackson Pollock; Robopole, a duo between a man and a robot; and Icarus, a dance pieces that looks at the mythical fall of humankind. A number of family-friendly shows also feature, include Bicycle Boy, a musical for children aged between six and ten. 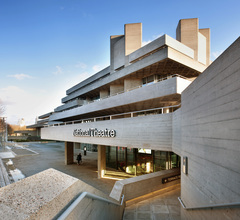 A collaboration between English National Opera and the Open Air Theatre. Britten's chamber opera about a young governess who encounters sinister happenings at a country manor, based on the Henry James novel of the same name. A collaboration between English National Opera - with the ENO orchestra conducted by Toby Purser - and Regent's Park Open Air Theatre, Benjamin Britten's The Turn of the Screw finds chilling new levels of suspense in this outdoor production. Director Timothy Sheader, who has successfully run the Regent's Park theatre for the past ten years, promises, "a whole new layer of suspense" to Britten's retelling of the story. Sam Mendes directs the epic story of Lehman Brothers. Rhys Ifans stars as the King in Patrick Marber's adaptation of Ionesco's dark comedy. Shakespeare's play lends itself perfectly to the wooded Open Air Theatre. 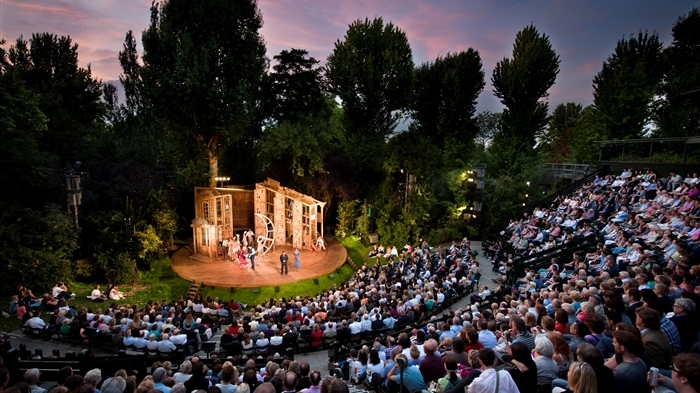 In the mythical Forest of Arden, Shakespeare's As You Like It lends itself perfectly to the wooded setting of Regent's Park Open Air Theatre. In a world of transformation where anything is possible and anything permissible, two young people discover what it really means to be in love. Directed by Max Webster (who directed Dr Suess' The Lorax at the Old Vic and Twelfth Night re-imagined for everyone aged six and over here at Regents Park), with new music by the former frontman of Noah and the Whale, Charlie Fink, this warm, open-hearted open air production promises adventure, sibling rivalry, mistaken identity and romance. From cheap budget places to stay to luxury 5 star hotels see our special offers for hotels, including Hilton London Hyde Park Hotel from 66% off.